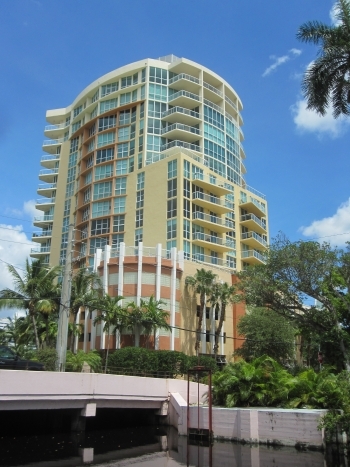 111 SE 8th Ave Unit # 902 Fort Lauderdale, FL 33301 2 Bedroom | 2 and half Bathroom | 1,320 sq. feet $505,000.00 With its perfect location where the heart of downtown Fort Lauderdale and Las Olas meet the Venezia Las Olas can not be beat. This lovely two bedroom and two and half bathroom located on the 9th floor offers unmatched views of the action of downtown. Contact Fort Lauderdale realtor Keith Hasting at 954.361.3950 or email keith@keithhasting.com and schedule a viewing today. 111 SE 8th Ave, Unit 902 Fort Lauderdale, FL 33301 2 Bedroom | 2 & half Bathroom 1,320 Sq. Feet $525,000.00 With it's unbeatable location and where downtown & Las Olas meet the Venezia Las Olas has it all. With its stunning views and close proximity to the areas best dining and shops. Contact Fort Lauderdale realtor Keith Hasting at 305.778.0244 or email keith@keithhasting.com and schedule a viewing today. Venezia Las Olas 111 SE 8th Ave, Unit 902 Fort Lauderdale, FL 33301 2 Bedroom 2 Bathroom $550,000.00 If downtown living is what you seek then this amazing Venezia Las Olas condo needs to be seen. With views from the 9th floor of downtown and the action of Las Olas. The best dining and shopping is just steps away and the beach is less than five minutes. To schedule a viewing call Fort Lauderdale realtor Keith Hasting at 305.778.0244 or email keith@keithhasting.com today. 111 SE 8th Ave, Unit 902 Fort Lauderdale, FL 33301 2 Bedroom 2 Bathroom Venezia Las Olas Condo $550,000.00 Great city views and a resort like rooftop swimming pool overlooking swanky Las Olas Blvd await you. This two bedroom two bathroom updated modern condo has it all. With resort like amenities and the prime location where downtown and Las Olas meet. The kitchen features custom cabinetry and stainless steel appliances as well as quartz countertops. With a large master suite and bathroom and a huge walk in closet. Call today and schedule a viewing in this spectacular condo. 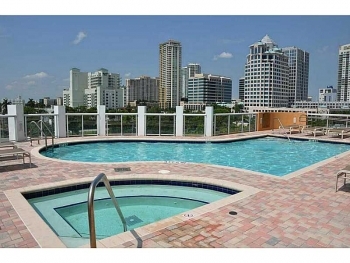 Venezia Las Olas 111 SE 8th Ave, Unit 902 Fort Lauderdale, FL 33301 2 Bedroom 2 Bathroom and Half 1,320 Sq. Feet $579,000 Location, location, location = yes you have heard this before but nowhere does this mean it like this lovely condo. Uniquely situated where downtown meets Las Olas and only minutes to the beach. This condo is modern and updated with a designer kitchen and top notch cabinetry and appliances. With two large bedrooms and two and half bathrooms that are generous in size. Last but not least is the amazing views that overlook the downtown skyline and feet action of Las Olas. You will have to see this amazing condo so call Fort Lauderdale realtor Keith Hasting at 305.778.0244 or email him at keith@keithhasting.com and schedule a viewing. Simply magnificent 9th floor Venezia Las Olas is where downtown and the Las Olas district meet and you will not beat this location. With its unique location as you are steps away towards downtown and the riverwalk and the shops and cafes of Las Olas. Don't forget that the beach is minutes away as well as Rio Vista and Victoria Park. This condo has unmatched views of the hustle of the downtown skyline and the foot traffic of nearby Las Olas. If posh living and a long list of amenities is what you desire the Venezia Las Olas will not disappoint. The current owner has exquisite taste and this unit has been remodeled and updated with granite counter tops, stainless steel appliances. Please contact Fort Lauderdale realtor Keith Hasting at 305.778.0244 for more information or a viewing. Looking to sell or buy in the Fort Lauderdale real estate market call or email me today for a free no obligation appointment today. Stunning 9th floor Downtown Fort Lauderdale near Las Olas Blvd. With unmatched views of the skyline and resort like amenities you will live like you are on vacation here. Featuring two bedrooms and two and a half baths at 1,320 square feet. This lovely unit has wrap around windows in this huge master bedroom suite. With a heated pool and a concierge attending to you and your guest. Last but not least the best dining and nightlife is just steps away on Las Olas Blvd. If you are looking for an amazing condo that is move in ready and needs nothing other than you this is your new home. Yet another "Best of List" that Fort Lauderdale made this time being ranked in the "Top 10 Best Downtowns" in the nation by Livability Magazine. The new high rises are attracting new residents from all over and giving the Fort Lauderdale real estate market a whole new feel. Luxury condos with resort like amenities and new shops and places to dine and go out help attract young and educated condo owners. Coming in at an impressive number seven on their list and something that was unimaginable even ten years ago. Yes downtown Fort Lauderdale has come to life with the perfect mix of culture, arts, shopping, dining and a huge increase in business and now new residents. The next ten years look even more exciting as there are currently seven large construction projects going up (count all the cranes in the sky ) and other 30+ projects planned and approved. Yes we can now work, play and LIVE downtown as their is a true sense of community.